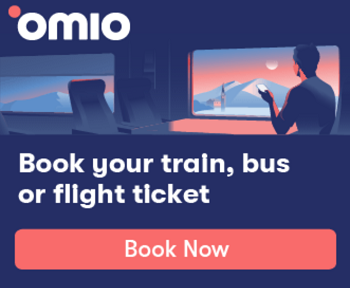 omio (formely GoEuro) is the go-to place for savvy travelers for cheap flights, a comfy bus or fast trains in Spain, the UK and everywhere in Europe. Enjoy lightning fast search results and compare Flights, Express Buses city to city, airport to city and even many out of the way village routes too! Your next adventure from the UK to Spain should start with omio where you can easily plan your road-trip around resorts like Benidorm, Altea, and Calpe on the Costa Blanca. Travel city to city, from Alicante to Barcelona, Madrid, Valencia, Malaga or Seville. Make the most of their massive network of 600 travel partners to locate the best mix from the cheapest flight, fastest bus or high-speed train that best meets your perfect journey schedule from departure to your final fabulous destination, You can even squeeze in a stop or two along the way to grab some culture, take a gourmet food break or just take a pitstop in a new town, because you can! Do all this in a few simple easy quick searches, book, pay, you’re on your way! It really is as easy as 1, 2, 3 to find the fastest and cheapest routes from A to B! No other site quenches the thirst for travel around Europe quite like omio. Where will you go next? HOT TIP: You can now book and pay online for the popular ALSA Express non-stop Bus from Alicante Elche Airport to Benidorm, just 55 minutes to the heart of Benidorm, the fastest way to get to the beach and bars!